Sometimes it takes a deep level of adversity to show each of us just how resilient we can be and how much our dependency needs to be on something or someone greater than ourselves. Jesus said that in this world we would have trouble. Our faith would be tested, our beliefs challenged and our convictions pushed to the limit. Evil is present in this world and it is not going away. 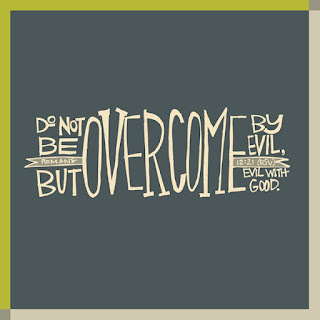 How we deal with the evil is the key. We overcome evil with good.